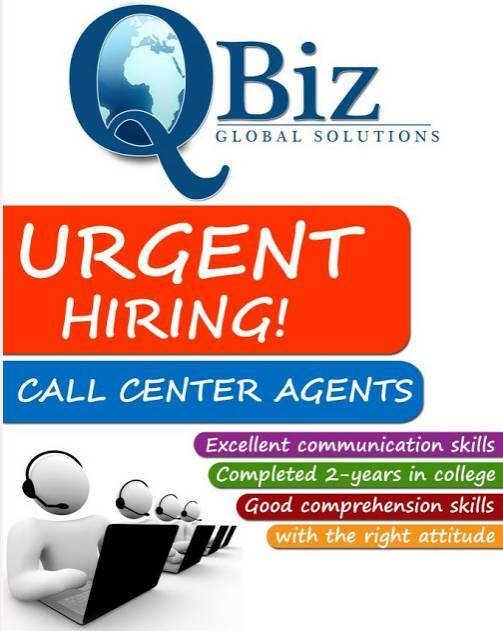 Gensan Call Center Jobs: QBiz Global Solutions still hiring! QBiz Global Solutions offers competitive salary, relocation assistance and more benefits in every qualified applicants. Fresh graduates are welcome to apply. QBiz Global Solutions also offers FREE board and lodging for successful applicants who lives outside General Santos City (40 km away). Submit resume at qbizphilippines@hotmail.com or inquire at their office for more details.